NGC 5364 (image center and interestingly also listed as NGC 5317) is a grand spiral galaxy in the constellation Virgo 54 million light years distant. Its apparent magnitude is 11.2 and its just over 6 arc minutes in size. It has bluish spiral outer arms peppered with several emission nebula. Just below it lies the elliptical galaxy NGC 5363 which glows at magnitude 11.1. 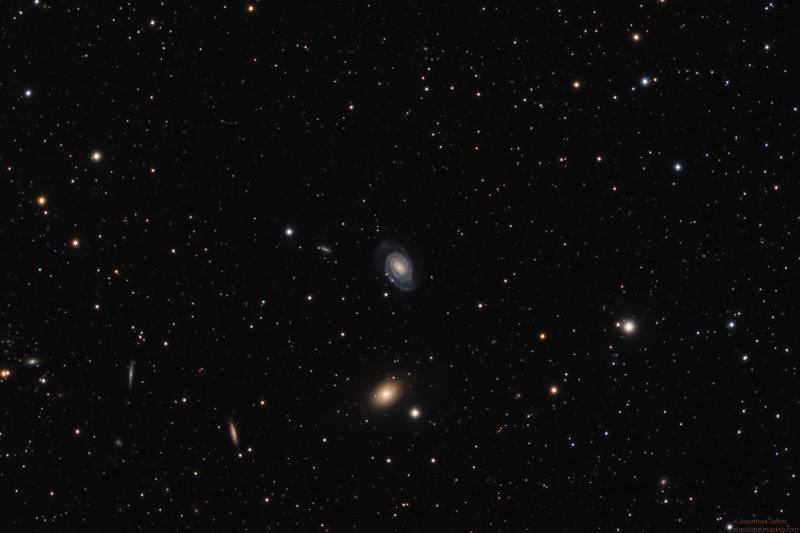 Many other galaxies pepper the image with several of the brighter ones towards the lower left. 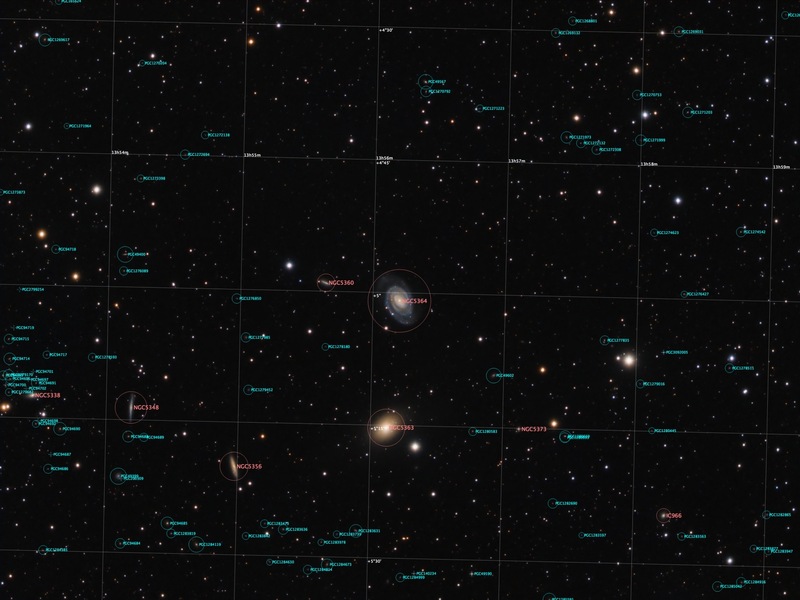 To get an idea how many faint galaxies are in this image, I’ve included an annotated version listing many of them. Acquisition/Processing: This image was taken through RGB filters un-binned using a Stellarvue SVS 130 @ f5 and QSI 583 WSG camera. This results in a pixel scale of 1.65 arc seconds/pixel. Exposure times were 250min of Red, 180min of Green and 280min of Blue using 10min sub exposures resulting in 11.8hrs of total exposure time. The individual RGB master frames were also combined into a synthetic luminance image. The synthetic luminance and RGB images were processed in PixInsight 1.8.